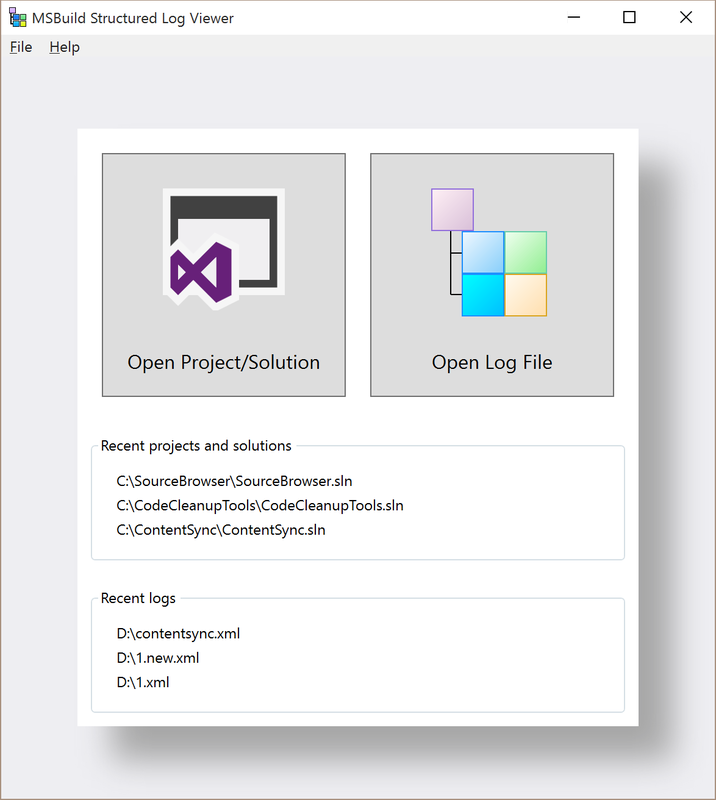 Embedded source files - optionally embed the source text of all project files and imported targets files used during the build, so it is possible to correlate log events with the source code. Preprocessed view (with all imports inlined) is available for each file (like /pp). The viewer can read all 3 formats and can save to either *.buildlog or *.xml. See MSBuild command-line help msbuild /? for more information on the /bl switch. 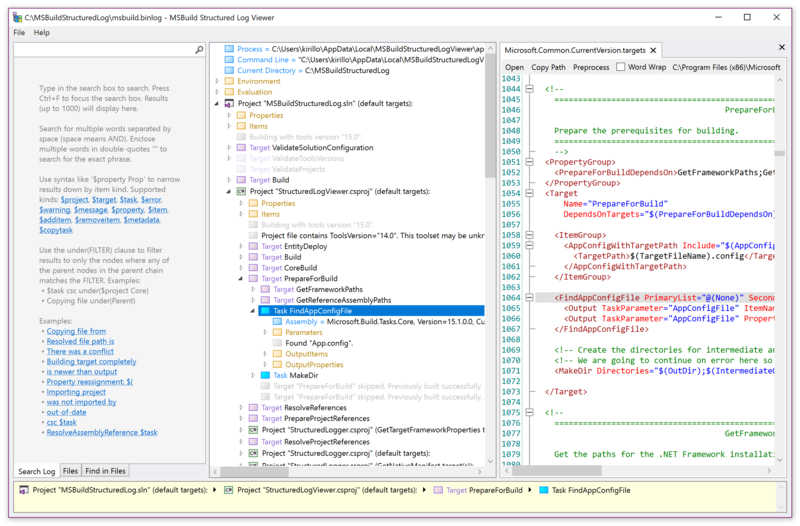 The switch is available starting with MSBuild 15.3 (Visual Studio 2017 Update 3 or newer). dotnet msbuild Some.sln /v:diag /nologo /logger:BinaryLogger,"packages\MSBuild.StructuredLogger.2.0.88\lib\netstandard2.0\StructuredLogger.dll";"C:\Users\SomeUser\Desktop\binarylog.binlog"
Use the Project System Tools Visual Studio extension to record binary logs of IDE and design-time builds. The binary log contains and exposes environment variables. Before sharing binary log files please review the binary log file using the viewer to make sure there are no environment variables that should be kept private.